(MoneyWatch) Few things are more frustrating than an ugly typo. And fewer errors are more damning to your professional reputation. 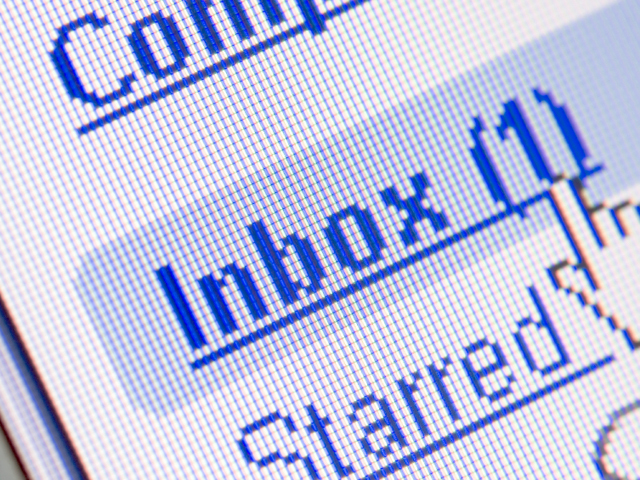 Careless mistakes in emails and memos aren't easy to avoid. It's like losing weight -- seems simple, but if everyone could turn on a switch and just do it, we'd all be thin. Simply reading while listening may force you to more carefully consider your writing for both flow and accuracy. "Reading aloud helps the writer in dozens of ways, including the detection of typos and other mistakes," says Clark. But do it deliberately to avoid merely seeing -- and hearing -- what you want to see. "This method is not foolproof. Writing is, by definition and practice, an act of prediction," says Clark. In an ideal world, you'd never include a typo in even a casual email, instant message or text message. In reality, you might save your best, most methodic proofreading for when it counts. "Have a clear sense of the 'event' and the degree of formality. If I am sending a message to my brother Vinny about a professional wrestling match, typos are not only acceptable, but [perhaps even] desirable," notes Clark. Your computer's spell check should only be a part of your proof-reading routine. "Have your favorite dictionary at arms-length," suggests Clark. Nobody's perfect -- not you and not even your computer. But the two of you combined with a little old school help from a dictionary or style guide should make a pretty good team. Typos, as with all other type of errors, happen. Remember that feeling and let it urge you to proofread more mindfully next time it's important. "I once wrote a letter of recommendation (via e-mail) on behalf of a student seeking a scholarship. I was too lazy or too busy to proof read it. The next day I found two typos in it and began to worry that my carelessness would cost this student a prize I felt she deserved," recalls Clark. If you're handwriting a thank you note, you naturally take more time to read it as you go, ensuring you don't waste a note card or include an embarrassing error. Do the same with your digital correspondence. "Treat anything you write in digital form -- including personal messages -- as public documents. I imagine that anything I write could turn up on the front page of the New York Post. That fear keeps me honest -- and mostly accurate," says Clark.